I went back and forth for a while over whether or not to mention anything about the massacre at Sandy Hook Elementary on this blog. I don’t think I’ll be able to articulate into words anything profound enough to do justice to the grief that our nation as a whole is feeling for the families who have lost their precious loved ones. On the other hand, it didn’t feel right to just write up my daily bento post and move on without mentioning it when our nation as a whole is mourning and searching for answers. So I’ll just say this and leave it alone. As a parent of a child who is close in age to the victims, this one hit me hard. I can’t help but think of my daughter when I look at the faces of the young victims who were gunned down Friday morning. I know parents who picked their kids up from school early on Friday when news of the shooting broke. Just so they could hug their children and keep them close as they processed this horrifying information. And to be honest, I think we all hugged our children a little tighter as we picked them up from car circles or bus stops all around our nation on Friday afternoon. 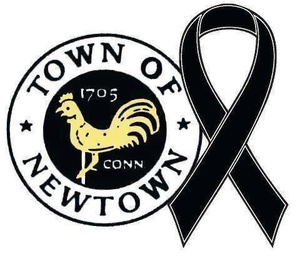 Our sons and daughters were safe but there were other parents in Connecticut that would never again get to ask how their child’s day was or what they learned in class or who they played with on the playground that day and knowing that was heavy on our hearts. Sandy Hook Elementary was a school that had done everything right. They had a security system installed, they had an action plan in place, and they did drills on a regular basis. It was a great school in a great town that was full of good and decent people. They did not deserve this. No one does, especially not small, defenseless children. Life is precious. Our children are precious. Every moment we have with them is precious because as we all saw on Friday as we sat and watched helpless and horrified, it can all be taken away in an instant. I can only hope that in the coming days, the families and friends of the victims who lost their lives in this tragedy will be able to somehow find some comfort and peace from their grief. That the support and prayers of the entire nation will help to heal their broken hearts. And that the deaths of their children will not have been in vain, but will instead be the catalyst for positive, peaceful change so that no other parent ever has to experience the same grief. This isn’t to debate gun laws or how mental health issues are handled in our country. I only wish to express my most sincere condolences to the families and friends of the victims and my hope that their dear departed loved ones may rest in peace. Very well said Cass. I couldn’t get close enough to the boys this weekend. Give your babies a hug for me please.